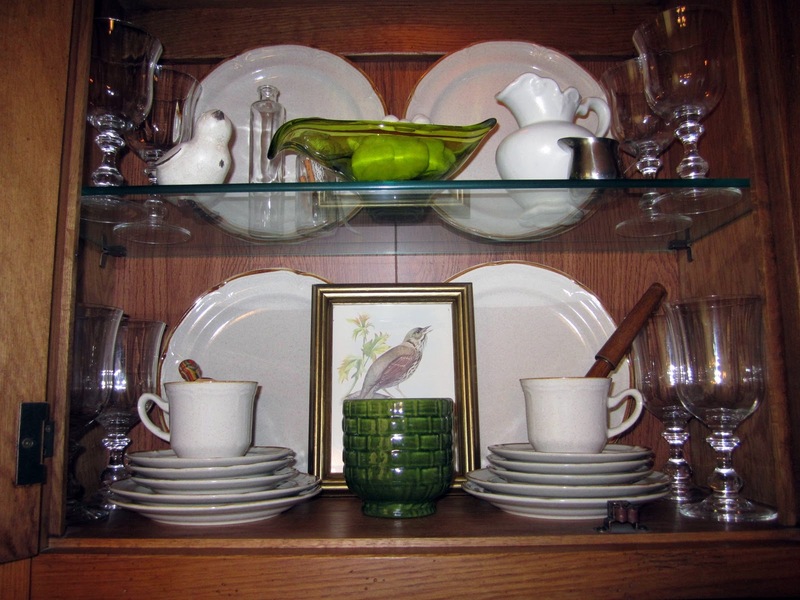 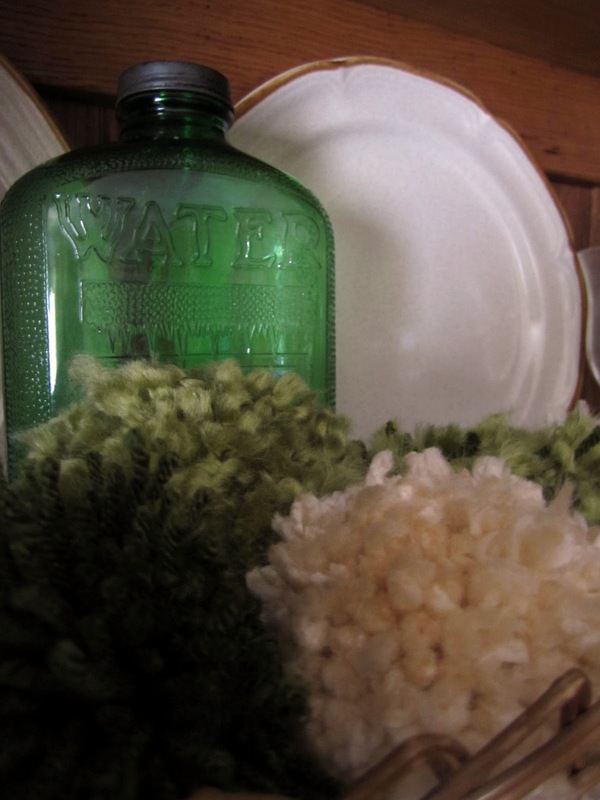 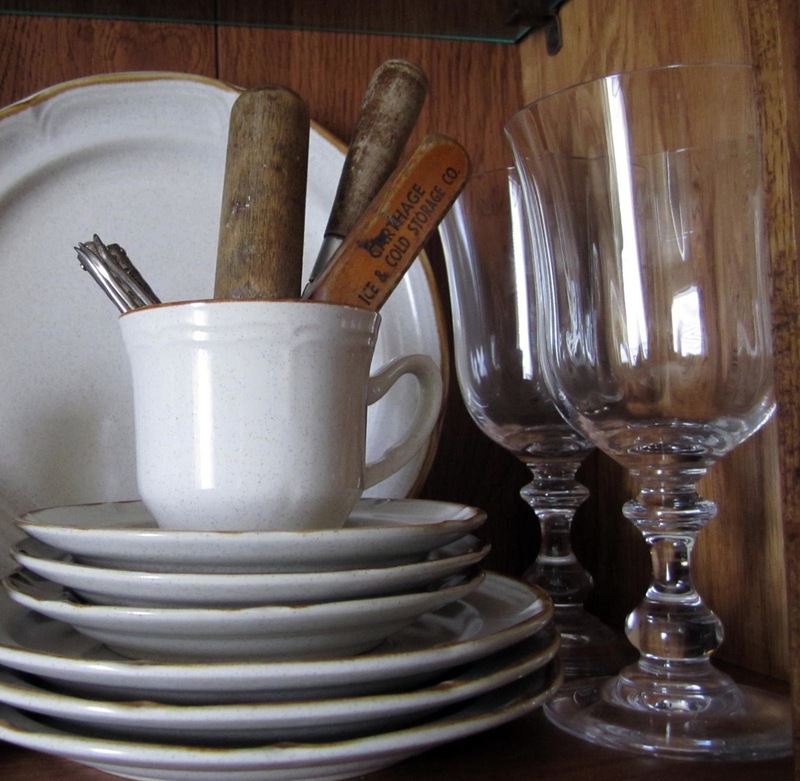 Our Happy Little Home: China Cabinet: All Dressed Up and Ready to Go. Are you tired of my dining area yet? 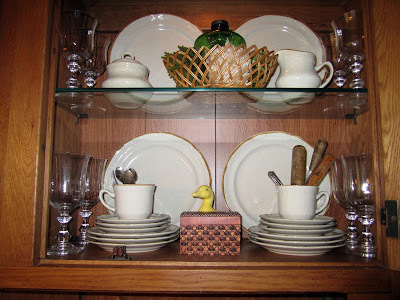 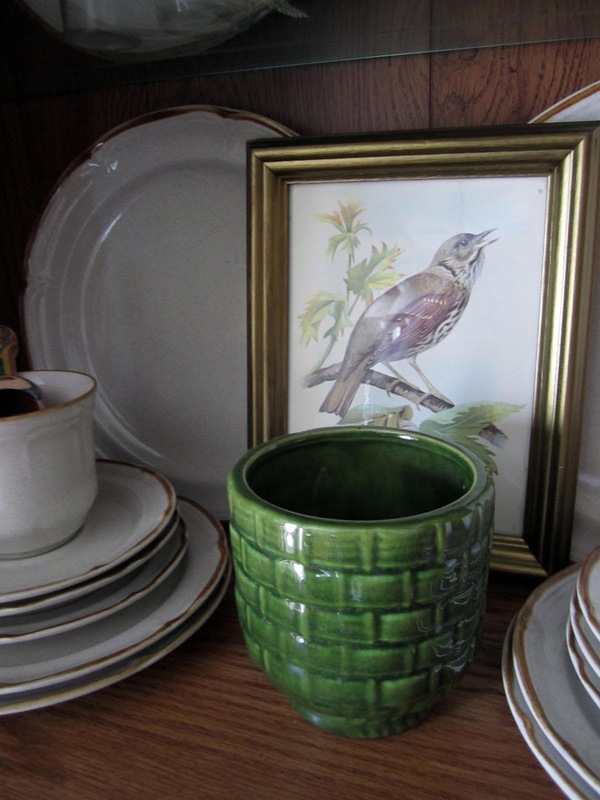 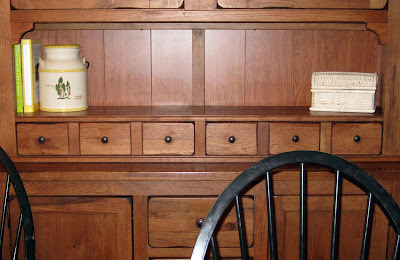 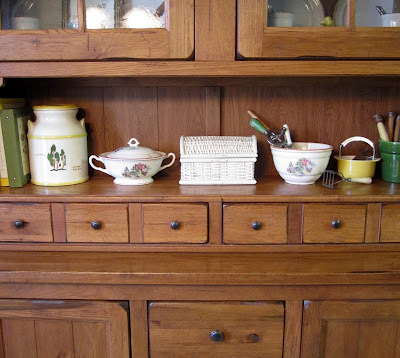 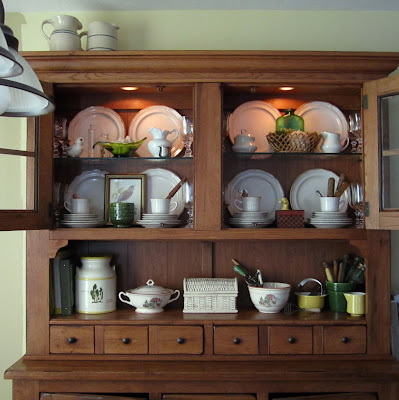 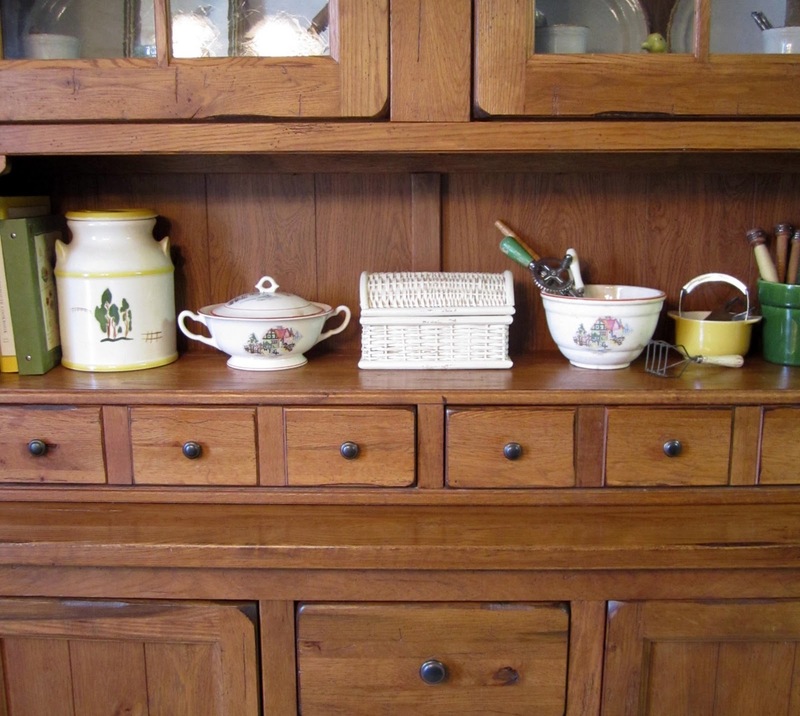 Here are some pictures of my "finished" china cabinet. See all of that stuff on the bottom shelf there?